That the Great War changed boundaries and upset communities is not news to anyone who looks at an historical atlas of Europe. That the war affected communities living along what is often referred to as ‘the longest undefended border’ between Canada and the United States is more surprising. 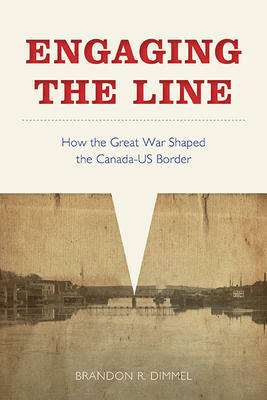 In Engaging the Line: How the Great War Shaped the Canada-US Border, Brandon R. Dimmel explores the effects of the war on three border-crossing communities (Windsor and Detroit, St. Stephen and Calais, and White Rock and Blaine) and how they responded to the policies of their respective governments seeking to regulate the boundary. The larger narrative, however, is about the varied definition of community and the growing role of the nation in people’s lives – a fact that we still live with and that has become exacerbated with more recent concerns over security. Dimmel’s well-written and clearly structured book sets the historical context of each of the case studies in turn, first considering the early establishment of the modern-day communities, then their response to the war (and the effects of the US delay in committing to it), and finally the changes to administering the border. Whether it was the Detroit automotive industry establishing branch firms in Windsor, the lumber, ship, sweets and shoe-making employers that linked the communities across the St. Croix River, or American objections to liquor sales in White Rock, local needs and opportunities led to a permeable border and, usually, a shared culture. The Great War changed this. With an emphasis on the Canadian communities, Dimmel observes that economic and security concerns drove regional and national governments to impose policies to regulate the border and encourage vigorous support of the war effort. It seems that the identity of these communities shifted north, including a greater awareness of their place in the province, nation and the world. But well-established local border-crossing culture endured, especially in central and eastern Canadian communities. In BC, the short history of migration and immigration to the region meant that trans-border relations were less well developed; attachment to regional and national identities trumped the border-crossing culture around Semiahmoo Bay. Dimmel’s book achieves what it sets out to do. The case studies are well-researched using local archives and especially local and regional newspapers. The storytelling is engaging and reveals the character of these places over time. Of course, three case studies cannot represent the stories of transnational communities along the entire frontier; it is a big leap between Windsor and White Rock. If that means that the conclusions are somewhat qualified, Dimmel’s work is not the lesser for it. The case studies might not represent every border-crossing community, but given the varied experiences of those selected, it is seems likely that most responded to their neighbours, their nation, and the experience of the Great War somewhere on the spectrum revealed in the book. Dimmel highlights that communities were not originally defined by abstract notions like nationality but by lived experience shaped by geography, and social and economic interactions. Sometimes these encouraged closer ties with those across the border than with their regional and national governments. When those experiences had time to develop, as they did for Windsor and St. Stephens with their US counterparts, close transnational communities were forged. In BC, however, the small communities straddling the border had not previously established strong connections before the weight of the nation and the Great War further imposed barriers to the border-crossing culture. It was an effect felt across the country and “changed life along the Canada-US border forever”(161). 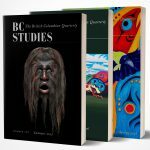 Vancouver: UBC Press, 2016. 242 pp. $32.95 paper.